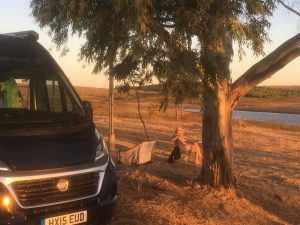 One of the first trips we took in our new (to us) camper van, was to explore the area that borders Spain. 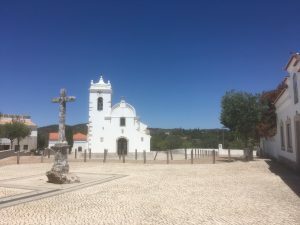 Our route took in Loule, Querenca, Cachopo, Martinlongo and Alcoutim where we discovered a zip wire that is ‘The Only Cross-Border Zip line in the World’ and crosses the Guadiana river between Spain and Portugal. It also allows you to travel back in time!